After a run of six No.1 singles in the U.S. during the final years of the 1970s, Bee Gees success took a bit of a nosedive during the 80s. It would be 1987 before the group entered the British Top 40 again with their comeback single "You Win Again". 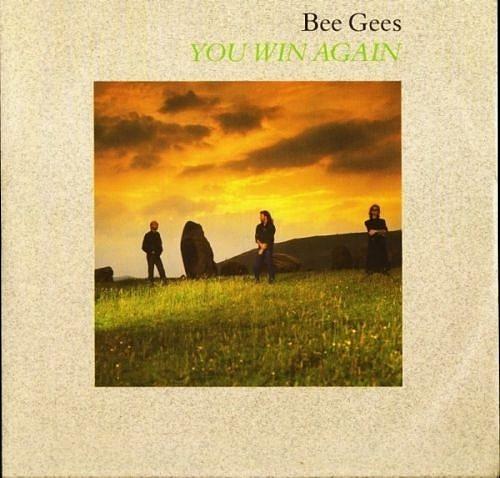 Released in August 1987 in the U.S. and September 1987 in the UK, "You Win Again" was the lead single from the album E.S.P. and reached #1 in the UK and several countries across Europe. The song was the band's first top ten UK hit since 1979, when they reached #16 with "Spirits (Having Flown)". Produced by Arif Mardin, Brian Tench, Barry, Maurice and Robin Gibb, the single entered the UK singles chart at an unimpressive No.87 on 13th Sept 1987, making it only the 12th highest new entry that week. However, by the 27th Sept, the single had reached No.22, and then reached No.1 on 11th Oct, where it remained for four weeks. During this time, The Bee Gees prevented three songs from claiming the top spot; Abigail Mead and Nigel Goulding's "Full Metal Jacket (I Wanna Be Your Drill Instructor)", "Crockett's Theme" by Jan Hammer and George Michael with "Faith". "You Win Again" was not successful in the U.S., reaching only No.75 on the billboard Hot 100. However, it did reach No.1 in Austria, Germany, Ireland, Norway and Switzerland. The song won an Ivor Novello Award in 1987 for "Best Song Musically and Lyrically". The B-side on the 7" vinyl featured the track "Backtafunk". The 12" vinyl included a "Remix" and "Fade" version of "You Win Again". A CD single was released in Japan, which featured "E.S.P." as the B-side. E.S.P. was The Bee Gees seventeenth original studio album, and was their first proper album release for six years. The album proved to be successful, reaching the top five across Europe. However, the trio's success proved to be short-lived, and the song remained their only major hit of the decade in the UK. However, they did achieve more success in some European countries, particularly in Switzerland, Germany and Belgium. 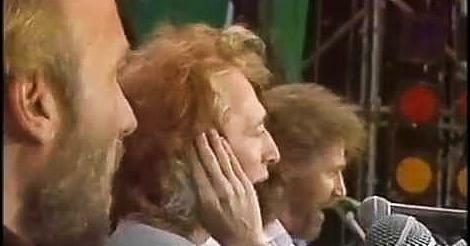 During the 90s, Bee Gees saw a resurgence in their popularity with eight Top 40 singles in the UK and many hits across Europe.